The PBE has been updated! 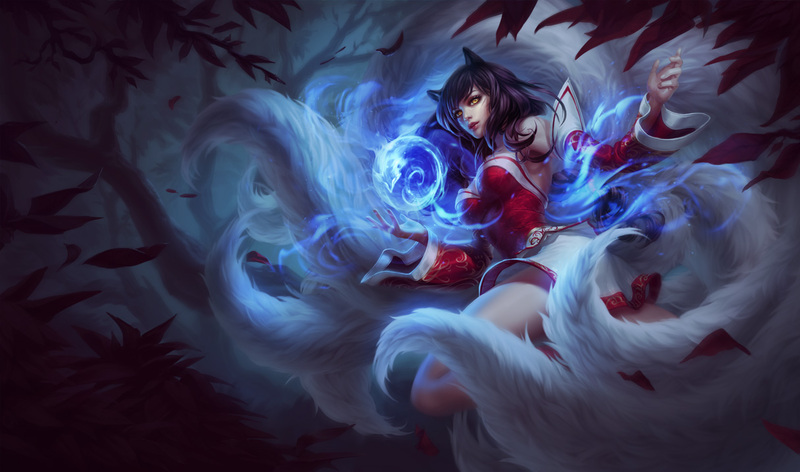 Ahri has a new splash art on the PBE and Amumu has an extended story, as well as the usual slew of tentative balance changes. 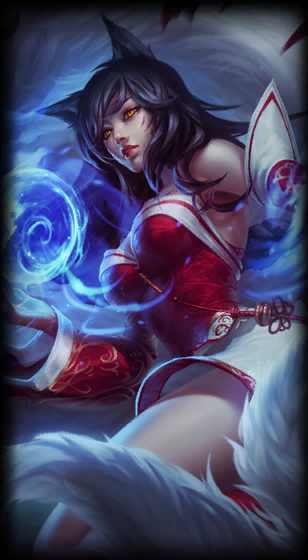 Ahri has received a new base splash art in today's update! Some of you may recognize this as a heavily modified variant of the splash first seen on the PBE back in October before being pulled (not to be confused with her current splash on live). Here's a comparison: note the changes to the face, ears, hair, fingernails, clothing straps, and color differences. An extended lore / story for Amumu was added to the files of today's update! "The gods were angry, and shook the land. Cracks rent the earth," said old Khaldun, his crag-featured face lit by firelight. "It was into one of these fissures that a young man ventured. He found an opening; the entrance to a tomb, hidden for the Jackal knows how long. The man had little ones to feed and a wife to please, and so he ventured in, lured by opportunity." Adults and children alike crowded in close to hear the old storyteller's words. They were all weary - they had traveled far that day, and the Shuriman sun had been unrelenting - but Khaldun's tales were a rare treat. They drew their cloaks tight around their shoulders against the chill of the night and leaned in. "The air was cool in the tomb, a merciful relief from the scorching heat outside. The young man lit a torch. Its light made shadows dance before him. He stepped cautiously, wary of traps. He was poor, but he was no fool. "The walls inside were smooth obsidian and carved with ancient writings and images. He could not read - he was a simple man - but he studied the images. "He saw a boy prince, sitting cross-legged upon a sun disk borne by a team of servants, a beaming smile upon his face. Chests of coins and riches were piled before him, the offerings of strangely garbed, bowing emissaries. "He saw other carvings, again showing the smiling prince, this time walking among his people. Their heads were pressed to the ground before him. Stylized rays of sunshine radiated from the boy's crown. "Before one of these images was a small, gold statue. It alone was worth more than he could have hoped to earn in ten lifetimes. The young man took it, slipping it into his satchel. "He did not intend to linger. He knew it would not be long before others came upon this place. When they did, he wanted to be gone. Greed makes fools of even the greatest men, and he knew that others would willingly spill his blood to claim that golden statue - and the other riches that were surely further in. Avarice was not one of the young man's faults, however. He felt no need to delve further. The other treasures hidden here were someone else's to claim. "He looked upon one last image before he left the tomb. It showed the boy prince dead, lying upon a bier. Those closest to him were wailing... but further back, people were celebrating. Had the boy prince been beloved, or had he been a tyrant? There was no way of knowing. "That was when he heard it: a sound in the darkness that made his skin crawl. "He looked around, wide eyed, holding his torch up before him. Nothing. "'Who's there?' he said. Silence was his only answer. "Then he heard it again, more distinctly this time. A child was crying in the darkness further into the tomb. "Heard anywhere else, his paternal instinct would have been to go to the sound. But here, in the darkness of a funereal tomb? "He wanted to run... but he did not. The sobbing touched his heart. It was filled with such misery and grief. "Was it possible there was another entrance to this tomb? Had a young boy found his way down here and become lost? "Torch held high, he crept forward. The weeping continued, echoing faintly through the gloom. "A wide chamber opened before him, its floor black and highly reflective. Golden artifacts and jewel-inlaid walls glinted within. Gingerly, he entered the room. "He stepped back sharply as his heel sent ripples spreading out across the floor. Water. The floor was not made of reflective obsidian - it was covered in water. "Kneeling, he scooped a handful of it to his lips. He spat it out immediately. It was salt water! Here, in the heart of Shurima, a thousand leagues from the nearest sea! "He heard the sound of the boy weeping once more, closer now. "Holding his torch before him, the young man glimpsed a shape at the edge of its light. It appeared to be the child, sitting with his back to the man. "Carefully, he stepped into the room. The water upon the floor was not deep. The hairs on the back of his neck stood on end, and fear clutched at his chest, yet he did not turn to run. "The shadowed figure did not turn... but he did speak. "He stepped closer, and the figure resolved itself before him. His eyes widened. "The shape before him was a god-statue carved in onyx, nothing more. It was not the source of the crying, nor of the child's voice. "That was when a small, dry hand grabbed him." "The young man looked down. The linen-wrapped corpse of the tiny prince stood beside the man. Dull, ghostly light emanated from the deathly boy's eye sockets, though his entire face was bound in burial wrappings. The corpse-child held the man's hand. "'Will you be my friend?' the boy asked, his voice muffled by linen. "The young man lurched backward, breaking free of the child's grasp. The young man looked down at his arm in horror; his hand was shriveling, turning black and withered. The wasting touch then began to climb up his arm. "He turned and ran. In his shock and haste, he dropped his lantern. It hissed as it fell into the lake of tears, and darkness descended. Still, he could just make out the glow of daylight up ahead. He ran toward it, scrambling desperately, even as the wasting death crept up his arm towards his heart. "At any moment, he expected to feel the deathly boy's grasp upon him... but did not. After what felt like an eternity, but could only have been a matter of heartbeats, he burst from the darkness into the desert heat once more. "And thus, the Tomb of Amumu was unearthed," said old Khaldun, "and the deathly child released into the world." "But everyone knows he isn't real!" cried one of the children, the oldest of them, after a moment of silence. "Amumu is real!" said the youngest. "He's wandering the land trying to find a friend!" "He's real, but he isn't a boy," said another. "He's a yordle!" "I am old, and we have far to travel tomorrow," he said. "It is past time I was abed." "Grandfather," she said. "How did you lose your arm?" "Goodnight, little one," he said with a wink." Be warned though, this story does not seem to be accessible anywhere in the main client just yet! There is a possibility it could still be a work in progress! For reference, the shorter form Amumu's lore was changed back around the time of Azir's release and can be found on the League of Legends' website's champion page. Passive - Chilling Smite no longer sets a 60 second cooldown if used to steal an enemy champions movement speed. 12/12 PBE Update: Alistar's Nose Ring returns, three new poro ward skins, and more! 12/15 PBE Update: Challenger Ahri, Tentative Renekton changes, and more!